Bedazzles After Dark: Outfit Post: Weekend Wear + A Giveaway! 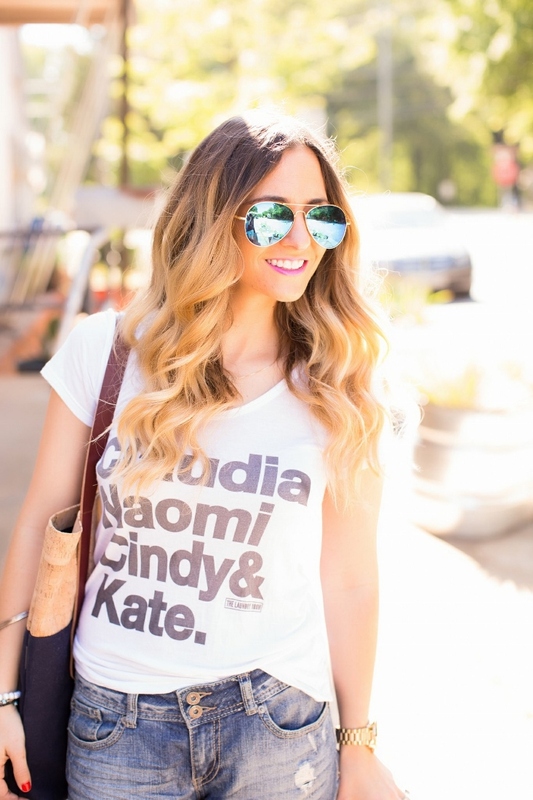 Outfit Post: Weekend Wear + A Giveaway! If there's one thing I love, it's my weekend wear. Even though my office is semi-casual, there's nothing better than a great pair of distressed boyfriends and a tee. It's like wearing pajamas in public, am I right? Comfy, casual and yet so cute. Speaking of the weekend being over, I have an exciting giveaway for you! 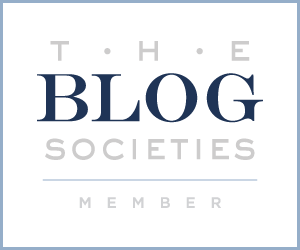 Scroll down to see what you can win! How amazing is this cork tote? Remember when I told you about Spicer Bags last month? I can't get enough of their cork collection. Or this tote bag. It's been on my shoulder since it arrived in the mail. The cork material is such a funky and cool touch. Bonus points for it being Eco-Friendly! I also love the fact that this tote has two outer pockets, perfect for storing my phone, sunglasses, or my emergency bag of sour patch kids (I take sour candy very seriously). Ready to find out the giveaway prize? Spicer Bags has graciously decided to gift one BAD reader with their own Big Boot tote! Yay! Trust me, you are going to fall in love with this awesome company, so you don't want to miss out on this. All you have to do is enter below. The more entries you complete, the more chances you have to win. Hope this brightens up your Monday just a teeny bit! Love Love the Shoes! 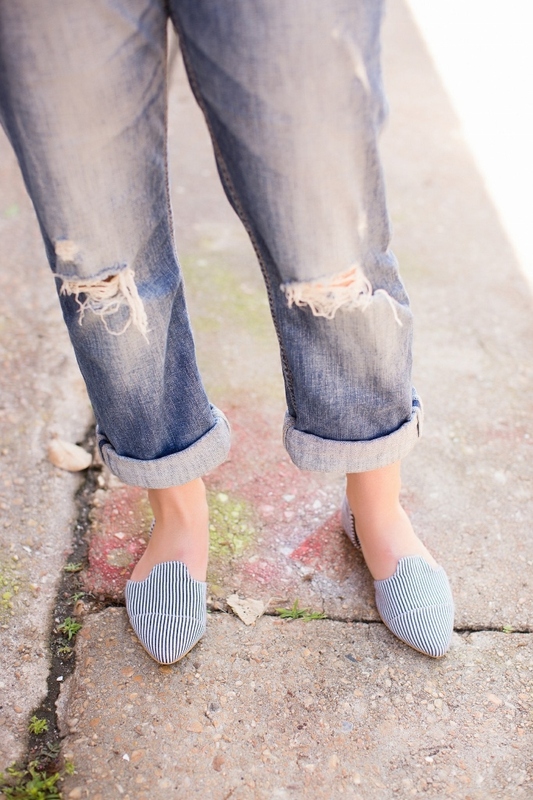 My favorite weekend go to is my jean capris! I love this bag! Your outfit is defiantly a perfect weekend attire! 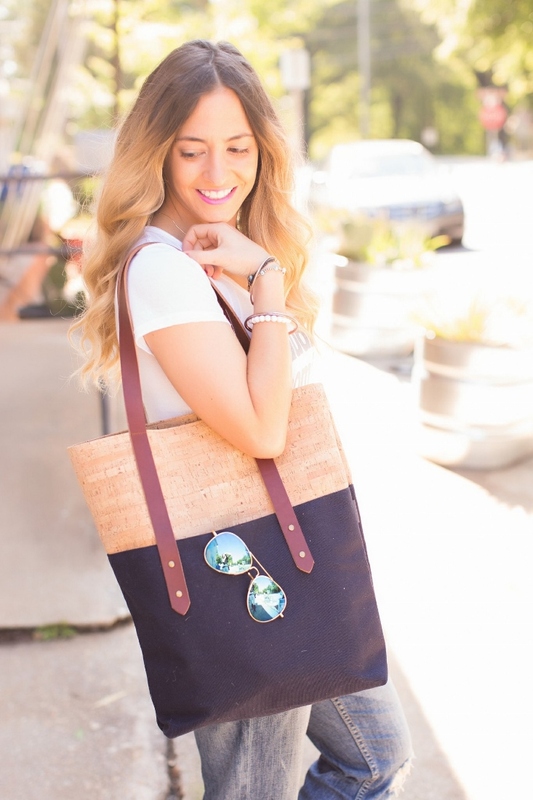 Drooling over the tote! My go to weekend outfit would have to be comfy jeans and a tee with a scarf. Your entire ensemble is fabulous. Usually on weekends, I have a pair of skinny jeans, sandals and a tank. I love wearing dresses with strappy sandals. I love wearing a nice dress! 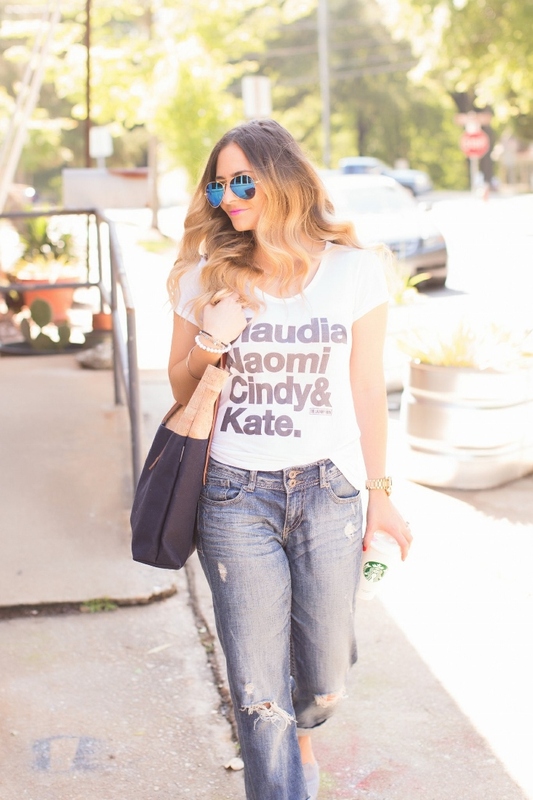 I love to wear jeans and a graphic tee! 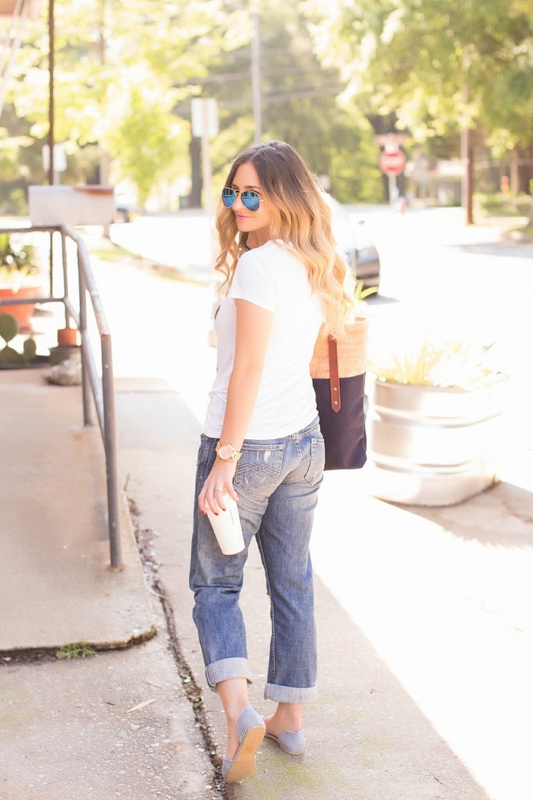 Boyfriend jeans are my favorite weekend wear this date! 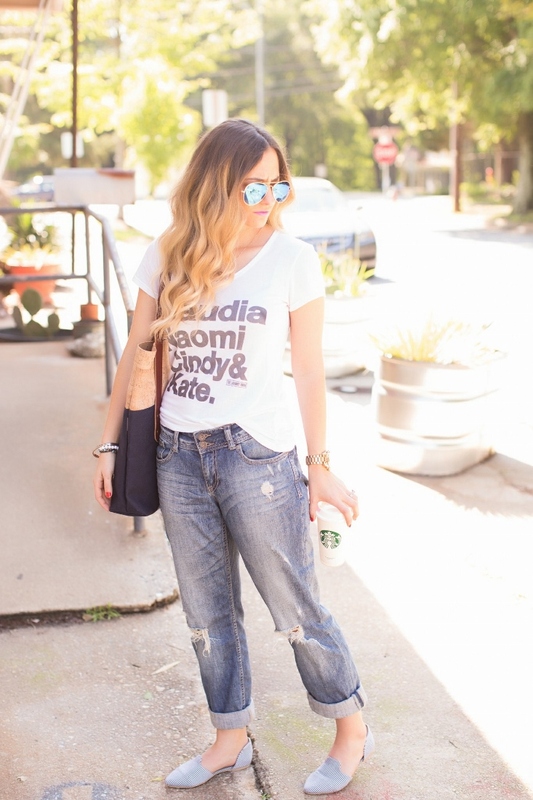 My favorite weekend go to look is boyfriend jeans, sandals and a tee! Thanks for hosting the giveaway! adorable outfit! love those flats and the top! My favorite thing to wear in a weekend are anything comfortable! I love how cute and comfy your outfit is. Excited about your giveaway. I usually stick with a pair of J.Crew chino shorts and whatever top I've been obsessed with that week/meaning to wear! Leggings and a t-shirt, weekends are for relaxing! Such a cute tote! And I need that tee in my life! =) Super models of my day! Thanks so much for linking up lady! What a lovely look!!!! I love the shoes and actually had my eyes on some similiar to yours recently. What a fun weekend look! I love to wear tank tops and wedges! For comfort I like my yoga pants and a nice top with flats. Too casual? Then I wear a maxi dress/skirt. I love dresses on the weekends!! I like wearing skinny jeans and a cute tee. I love hats for the weekends! Jeans, converse, and a tshirt! I am a jeans and flip flops person. Add an oversized sweatshirt when it's cool. This is such a cute look. I love the ode to 90's models. Perfection! I LOVE the tote! My go to weekend outfit would be black jeans and a black crop top with a colorful kimono. Honestly. I love my yogis on the weekend! If I must go out, boyfriends (real ones & jeans) or a dress!